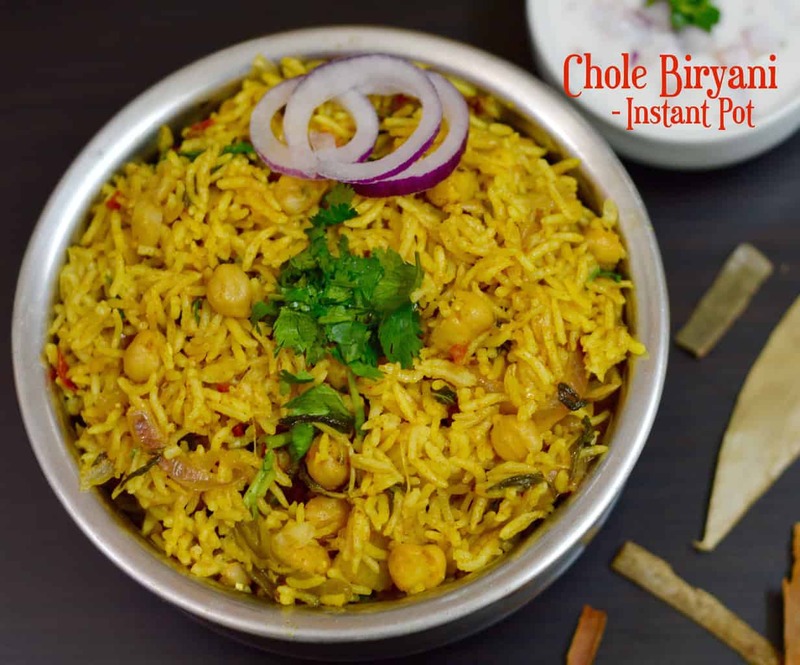 This dish is a delicious combination of rice, chickpeas, with vegetables and of course spices. This is a great, hearty, and protein packed meal. 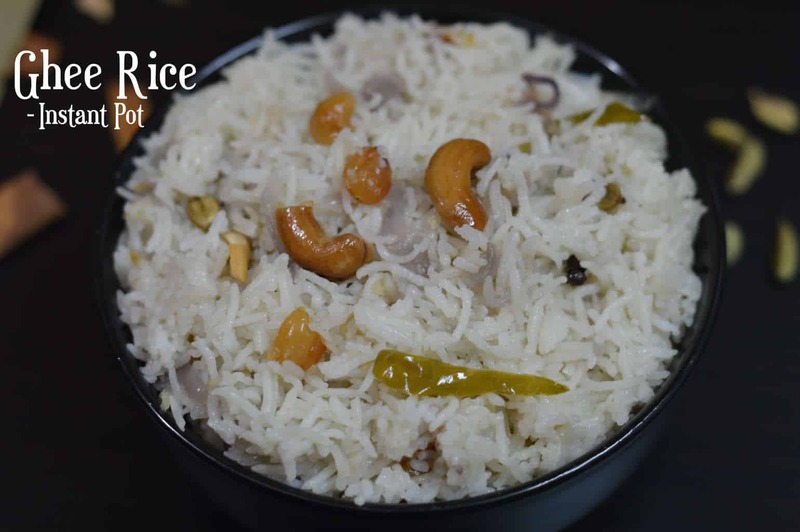 Coconut Milk Pulao/Coconut Milk Rice is a South Indian recipe made in thick coconut milk and served with any veg curry and raita. 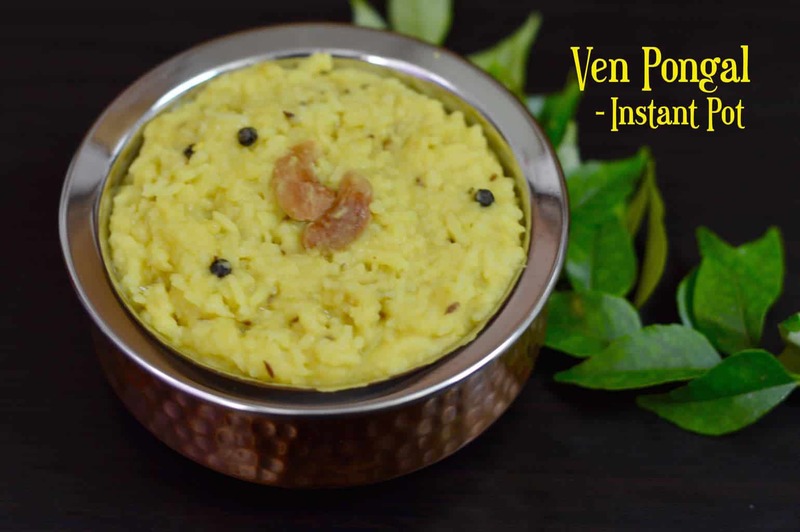 Jeera (Cumin) rice is a very simple and flavorful rice and can be prepared in a few minutes. 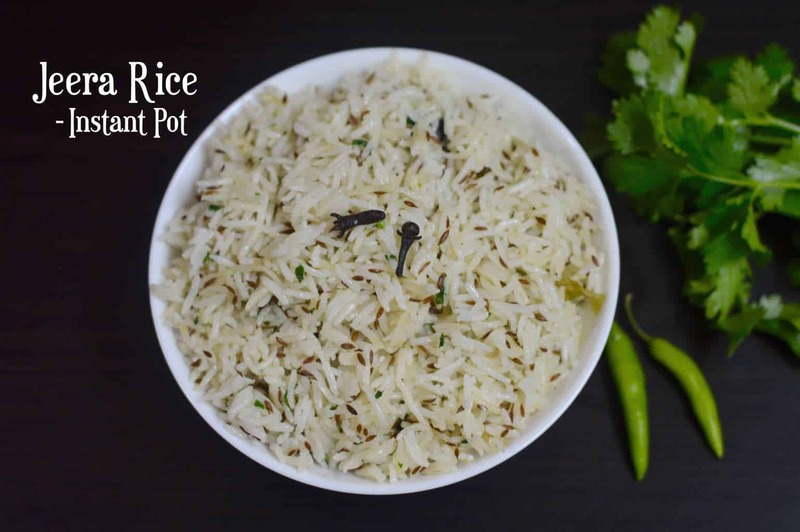 It is the simplest of all flavored rice and goes well with most of the gravies we usually prepare for roti/chapati. Also added Indian Pressure Cooker Recipe. 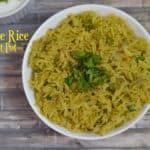 Cabbage Rice/Cabbage Pulao – If you are thinking of easy lunch/dinner option and have loads of cabbage in the refrigerator.This is one easy vegan rice dish tastes awesome with just a simple raitha. Press SAUTE mode on Instant Pot. Add oil or butter in to the POT. Once POT is hot add in the whole spices.Saute for 30 secs or till aromatic. Add in the chopped onions,green chillies,ginger-garlic paste and Saute until onions turn light brown. Now add in the mint,green peas,basmati rice,water,salt and mix well. Do a QUICK RELEASE(QR)(Wait until silver button on lid drops).BE CAREFUL OF THE HOT STEAM. 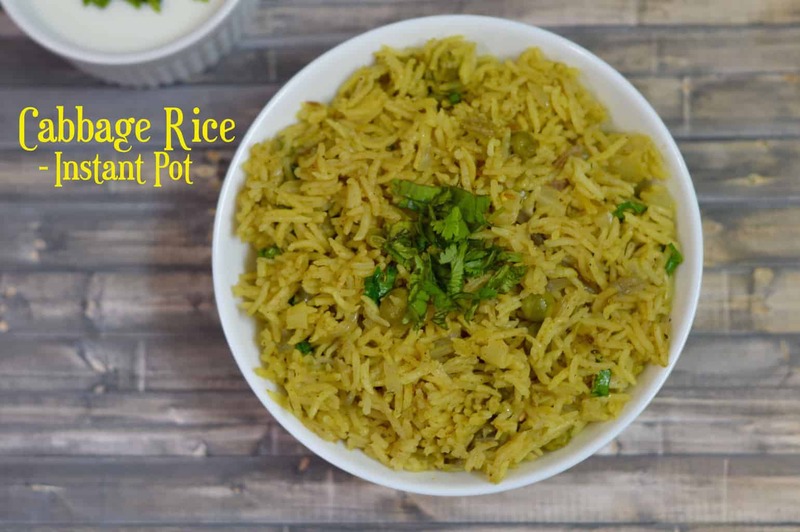 Peas pulao is ready, serve with yogurt,raita. Heat oil in a pressure cooker and add in the whole spices. Saute for 30 secs or till aromatic. Add in the green chillies,ginger-garlic paste and saute for 30 secs until raw smell of the ginger garlic goes away. Add in the chopped onions. Saute until onions turn light brown. 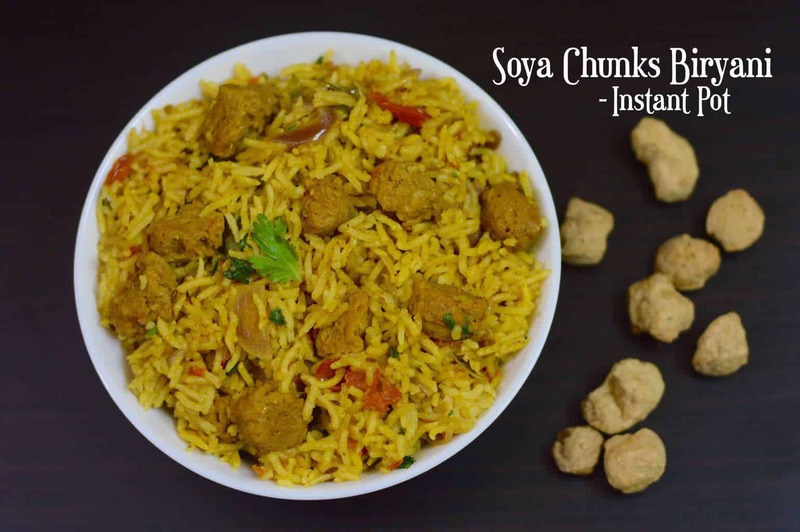 Coconut Milk Pulao is a South Indian recipe made in thick coconut milk and served with any veg curry and raita. Press SAUTE mode on Instant Pot. Add oil and once it's hot add Cumin,Bay leaf,spices,ginger-garlic paste,curry leaves,green chilli. Saute for 30 secs until aromatic. Then add sliced onions,cook until they turn soft and light brown in color - stir regularly. Add mix vegetables and cook for another 2-3 minutes. Add Coconut milk,water,washed Basmati Rice,salt and give a stir . Remove lid away from you,mix well and fluff with a fork or spoon. Coconut milk Pulao is ready.Serve with Curry,Raita or plain yogurt. Heat a pressure cooker with oil on medium flame, add Cumin,Bay leaf,spices,ginger-garlic paste,curry leaves,green chilli. 1.You can also add mint/pudina leaves and coriander leaves/cilantro to enhance flavor. 2.You can replace coconut oil with ghee/clarified butter.